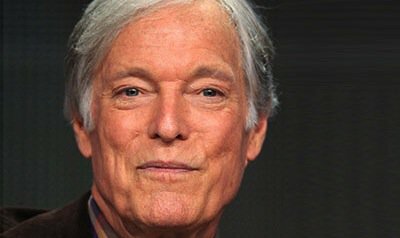 Richard Chamberlain was born today, March 31, in 1934. 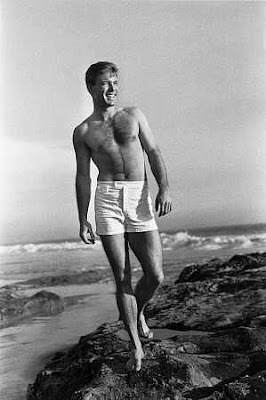 He is an American stage and screen actor and singer, who became a teen idol in the title role of the television show Dr. Kildare (1961–1966). Since then, he has appeared in several mini-series such as Shōgun (1980) and The Thorn Birds (1983), and many successful films such as The Bourne Identity (1988) being the first man to play Jason Bourne, and he has performed classical stage roles and worked in musical theatre. Chamberlain was born in 1934 in Beverly Hills, California. In 1952, Chamberlain graduated from Beverly Hills High School and later attended Pomona College (class of 1956). Chamberlain co-founded a Los Angeles–based theatre group, Company of Angels, and began appearing in television series in the 1950s. Chamberlain gained widespread fame as the young intern, Dr. Kildare, in the NBC/MGM television series of the same name, co-starring with Raymond Massey. Chamberlain's singing ability also led to some hit singles in the early 1960s, including the "Theme from Dr. Kildare" entitled "Three Stars Will Shine Tonight," which struck No. 10 according to the Billboard Hot 100 Charts. 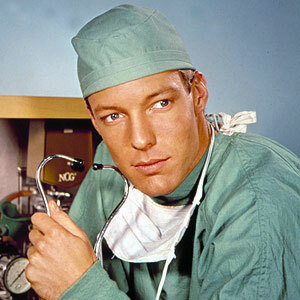 Dr. Kildare ended in 1966, after which Chamberlain began performing on the theatre circuit. At the end of the 1960s, Chamberlain spent a period of time in England where he played in repertory theatre and in the BBC's Portrait of a Lady adaptation, becoming recognized as a serious actor. In 1969, he starred opposite Katharine Hepburn in the film The Madwoman of Chaillot. While in England, he took vocal coaching and in 1969 performed the title role in Hamlet for the Birmingham Repertory Theatre, becoming the first American to play the role there since John Barrymore in 1929. He received excellent notices and reprised the role for television in 1970 for the Hallmark Hall of Fame. In the 1970s, Chamberlain enjoyed success as a leading man in films: The Music Lovers (1970), Lady Caroline Lamb (playing Lord Byron, 1973), The Three Musketeers (1973), The Lady's Not for Burning (1974), The Towering Inferno (in a villainous turn as a dishonest engineer, 1974), and The Count of Monte Cristo (1975). In The Slipper and the Rose (1976), a musical version of the Cinderella story, co-starring Gemma Craven, he displayed his vocal talents. A television film, William Bast's The Man in the Iron Mask (1977), followed. That same year, he starred in Peter Weir's film The Last Wave. 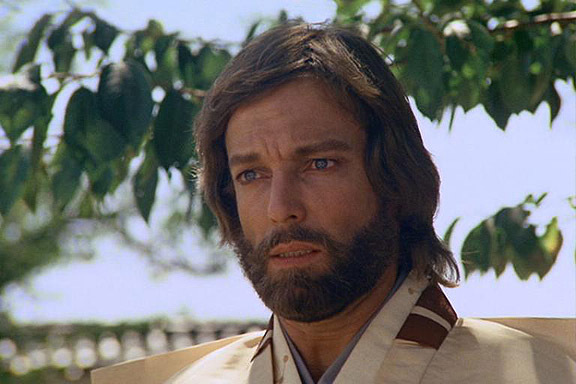 Chamberlain later appeared in several popular television mini-series (earning him a nickname of "King of the Mini-series"), including Centennial (1978–79), Shōgun (1980), and The Thorn Birds (1983) as Father Ralph de Bricassart with Rachel Ward and Barbara Stanwyck co-starring. In the 1980s, he appeared as leading man with King Solomon's Mines (1985) opposite newcomer Sharon Stone, and also played Jason Bourne/David Webb in the television film version of The Bourne Identity (1988). Since the 1990s, Chamberlain has appeared mainly in television movies, on stage, and as a guest star on such series as on Will & Grace. He starred as Henry Higgins in the 1993–1994 Broadway revival of My Fair Lady. In the fall of 2005, Chamberlain appeared in the title role of Ebenezer Scrooge in the Broadway National Tour of Scrooge: The Musical. In 2007, Chamberlain guest-starred in Desperate Housewives as Glen Wingfield, Lynette Scavo's stepfather. In 2008 and 2009, he appeared as King Arthur in the national tour of Monty Python's Spamalot. Chamberlain has also appeared in several episodes of Brothers & Sisters, playing an old friend and love-interest of Saul's. Chamberlain was romantically involved with television actor Wesley Eure in the early 1970s. In 1977, he met actor-writer-producer Martin Rabbett, with whom he began a long-term relationship. This led to a civil union in the state of Hawaii, where the couple resided from 1986 to 2010 and during which time Chamberlain legally adopted Rabbett to protect his future estate. Rabbett and Chamberlain starred together in, among others, Allan Quatermain and the Lost City of Gold, in which they played brothers Allan and Robeson Quatermain. Chamberlain was outed at the age of 55 by the French women's magazine Nous Deux in December 1989, but it was not until 2003 that he confirmed he was gay in his autobiography Shattered Love.